Alliance Global has represented some of the most prominent automotive brands, overseas, for nearly 35 years. Our continued success roots from our core values: building strong relationships, forging trust and exceeding expectations. 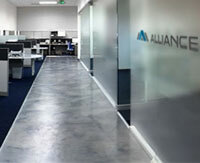 Hybrid Manufacturing is Alliance’s methodology and approach that complements a customer’s current manufacturing process. By selectively outsourcing various assembly items, our customer’s reduce costs, improve quality and increase capacity. When balanced with quality driven factories and a socially conscious global strategy, a strong, longevity driven supply chain is created. Our formula is simple, we will go above and beyond to exceed your expectations through uncompromising execution. We value our relationships with our customers and factories and we show them that we genuinely care about their products, and their businesses. We treat each product like our own and place quality, ingenuity, innovation and accountability at the center of our focus.